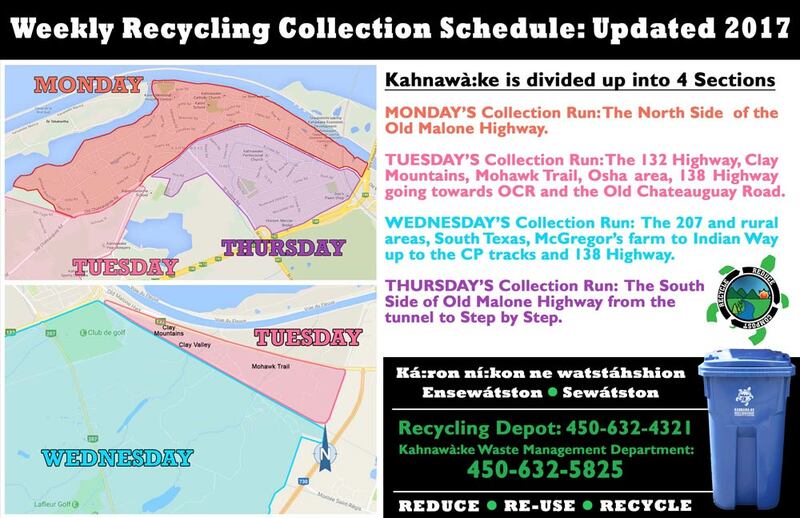 Kahnawà:ke has developed a Waste Management program that consists of Waste Reduction, Recycling, Composting and Disposal to a certified Landfill site. Waste management is in place to ensure the responsible disposal of all classes of waste for the protection of human health and the environment. Please ensure reusable resources and household hazardous wastes have been removed from your landfill destined waste. As required by the Redevance program, this Annual Progress Report outlines the progress of action item activities undertaken for the period of April 2017 to March 2018, as identified in theKahnawà:ke’s 2016 – 2020 Waste Management Plan.